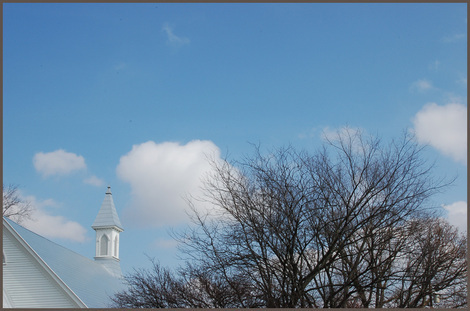 Something about the color of the sky and the church steeple seems so hopeful. Very, very nice. this looks great. the sky is so blue- looks like a beautiful day! This page contains a single entry from the blog posted on February 17, 2011 8:36 PM. The previous post in this blog was Ready for the Quilter and 52Photos. The next post in this blog is 1st Birthday Hat!.